De tijd dat we China enkel kennen van “made in China” is definitief voorbij. Een combinatie van centraal gestuurde strategie en een extreme focus op data en de klant vormen de motor van deze ontwikkeling. Artificiële intelligentie, data en digitale technologie staan hierbij centraal, zo kan je met een app zoals WeChat zowat alles regelen, kopen én betalen via chatbots en spraak. 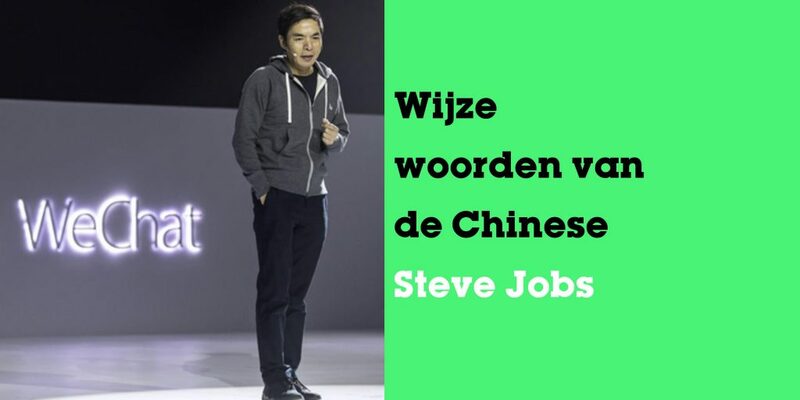 In het hierna vermelde artikel krijgen we een gebalde samenvatting van een 4 uur durende epische speech van Allen Zhang, founder van WeChat. Chinese media has been ablaze with articles discussing and dissecting the talk. Below is the first complete and detailed English language summary of the talk’s content. WeChat has never changed their famous startup splash screen and will not change it in the future. Allen insists, no adverts on the splash screen. The time you spend with WeChat might be more than that you spend with family or friends. If you spend a lot of time together, then it’s your friend. Us choosing to put an advert on the splash screen would be like before you can speak to a friend there’s an advert stuck on his face that you first have to tear off. It’s true that the WeChat project started when Allen wrote an email late at night to Pony Ma in 2010. But stories online of saying he went to a temple (to gain inspiration) are false. The initial WeChat team was just 10 people. Which included two Android developers, two iPhone developers, two Symbian devs, two people doing the back-end, one person doing UI, one person doing product and then Allen himself. For the first half a year, WeChat had a very small number of users. Starting from WeChat 2.0 the growth curve began to get better (user numbers began to naturally increase), so we decided to start promoting WeChat. “WeChat is not “restrained”, we do not have the word “restrained” in our dictionary.” This comment is in reaction to the common China mobile internet industry criticism of WeChat that they are conservative and restrained in developing new product features. WeChat now has a billion daily active users, the largest number of users ever in Chinese internet history. Every time we make a new version, we’ll face a huge pressure because every day we’ll have probably 500 million users saying they’re not used to it and there are many problems. We know that we can’t decide what to change based on the votes of users. We must keep the product moving forward adapting to this era. Kom mee ervaren en leren hoe WeChat en andere Chinese innovaties hun economie een digitale voorsprong geeft. Ervaren argonauten nemen je in oktober mee naar China.